Writings: Commonwealth oversight of the fire ant program: poor. Biosecurity Queensland, a Queensland government agency, has wasted $400m of public money trying to find and kill fire ants. Fire ant now infest an area over 400,000ha: ten times bigger than it was in 2002. Clearly, Biosecurity Queensland is incapable of managing the National Red Imported Fire Ant Eradication Program. The fire ant program is a national program. Studies by the Australian Bureau of Agricultural Resource Economics and Sciences show that fire ants, one of the world’s worst invasive species, pose a serious threat to most of Australia’s unique environment, economy and out-door lifestyle. Therefore, the fire ant program is funded by a cost-share arrangement between the Commonwealth, States and Territories governments. Fifty percent of the money comes from the Commonwealth and the rest from the States and Territories. The Australian Agricultural Ministers’ Forum, made up of the ministers for agriculture from all States and Territories, and chaired by the federal minister, decides the direction of the program and approves funding for it. The Ministers’ Forum is advised by two oversight committees, managed by the Commonwealth Department of Agriculture and Water Resources. Program auditor, Deloitte, has criticised the ability of these committees to monitor the progress of the fire ant program and its use of public money. Commonwealth oversight committees might not be giving the Minister’s Forum the best advice. The Agricultural Ministers’ Forum is due to meet in early 2017 to decide the future of the program. We have to hope the Ministers continue to fund a fire ant program, but I suggest, the Ministers will be throwing good public money after bad if Biosecurity Queensland continues to run the fire ant program and if Commonwealth oversight committees fail to give good advice to the Minister’s Forum. And, I suggest, there would be better scrutiny of the fire ant program if it was opened up to public scrutiny by making all program reports and reviews and the minutes of Ministers’ Forum and governance committees meetings available, on-line, as soon as possible after the event. Biosecurity Queensland does not have the ability to manage the National Red Imported Fire Ant Eradication Program. A review of Biosecurity Queensland’s capabilities in 2015 found that it ‘does not have the capacity to implement the changes required to meet the needs of the future and address current needs’. The Capability Review said that Biosecurity Queensland’s leadership team lacks the ability to plan strategically, to prioritise on the basis of risk analysis to set directions and to provide funding bodies with a business-case, based on a sound investment framework, for future funding. Biosecurity Queensland cannot manage the fire ant program because it does not have, and has never had, an effective performance management information system containing validated data. The 2002 science review panel said ‘the (program) is no position to know, with any degree of certainty, what areas have not been treated, what areas have been treated and what they were treated with’. In 2003, program auditors said ‘The scarcity of performance measures against outcomes prevents a more objective evaluation of operational efficiency.’ The 2004 science review panel said ‘It is not clear what properties have been surveyed and not treated or treated and not surveyed…. We would like clarification on these activities.’ The 2009 science review said ‘The review team was surprised by the lack of a consistent and coherent information base to assess the effectiveness of surveillance and treatment protocols.’ In 2015, the Capability Review was still saying that Biosecurity Queensland lacked an effective performance management information system with high quality, timely and well-understood performance information. Fire ants are a threat to most of Australia’s unique environment, economy and outdoor lifestyle. Fire ants are a national threat; not just a Queensland problem. Both the Commonwealth and Queensland governments have responsibilities for protecting our biosecurity and responding to breaches of it. The Commonwealth, through the Department of Agriculture and Water Resources, is responsible for deciding if a biosecurity incursion is a threat the whole nation, determining if it is technically possible and cost beneficial to eradicate it, approving eradication plans, coordinating a national cost-share arrangement between the Commonwealth, States and Territories and monitoring the program’s progress and costs. Under a cost-share arrangement, the Commonwealth government contributes 50% of all costs and States and Territories governments contribute the other 50%. The Queensland Government, through Biosecurity Queensland, a division of the Queensland Department of Agriculture, Fisheries and Forestry, is responsible for establishing a State-wide framework of programs to minimise biosecurity risks and for having the capacity to respond to any biosecurity event that does occur in timely and effective way. The Australian Agricultural Ministers’ Forum, made up of the ministers for agriculture from all States and Territories and chaired by the federal Minister for Agriculture, decide the direction and funding of the program. The Ministers’ Forum is advised on the progress of the National Red Imported Fire Ant Eradication Program by the National Management Group (NMG) and the Tramp Ant Consultative Committee (TACC). The National Management Group is made up of the heads of the agency in the Commonwealth, State and Territory governments responsible for biosecurity and is chaired by the Secretary of the Commonwealth Department of Agriculture and Water Resource. The Group is responsible for approving program plans and budgets and monitoring the program’s progress and costs. The Group is ultimately responsible for determining when the program has eradicated fire ants, or has not, and approving the program’s budget. All the Group’s decisions must be made by consensus before they are referred to the Ministers’ Forum for final approval. The NMG is supported by the Tramp Ant Consultative Committee (TACC), made up of technical experts from the Commonwealth, States and Territories governments and is also chaired by Commonwealth Department of Agriculture and Water Resource. All TACC’s decisions and recommendations must be made by consensus before they are referred to the NMG by the committee’s chair. Deloitte has been the auditor of the fire ant program since the beginning. Their report in September 2013 was highly critical of the performance of the NMG and the TACC. The auditor said that the NMG and TACC had never approved any long-term plan for the program with performance indicators for key aspects of the program and they have no mechanisms for analysing the return on investment of program initiatives. The auditor was also critical of the ability of the Department of Agriculture and Water Resources to chair the oversight committees. The committees did not have a regular meeting schedules, fire ant program managers had not been given any advice on the nature of the information the committees required and committee members’ attendance was inconsistent: some jurisdictions sent representatives to only half of oversight committee meetings or different representatives to different meetings. The auditor also criticised the oversight committees not approving plans and funding in a timely manner. The auditor said that in 2010-11 the committees approved the budget for the program a year after it was submitted and in 2009-10, the committees approved funds two months prior to the end of the financial year. Therefore, the auditor recommended that the committees establish a consistent, regular timetable of oversight committee meetings (6 monthly for NMG and quarterly for TACC respectively) determined by program milestones and meetings of the Ministers’ Forum, establish a standing agenda for each meeting, ensure that the program’s work plan and budget is approved before the start of the relevant financial year and confirm the appropriateness of the members of the committees and encourage members to attend consistently. Deloitte was also critical of the quality of reports about the National Red Imported Fire Ant Eradication Program that the oversight committees were prepared to accept. The auditor said status reports were just ‘narratives’ that did not report against a set of specific, measurable and fit-for-purpose performance indicators of key aspects with the program. The auditor said program reports did not compare the activities undertaken with those planned. In some instances, the variance was up to 21%, but the program reports gave no explanation for it. Consequently, the auditor said, program reports did not provide trend analyses, making it difficult for the oversight committees to track the progress of the program or to assess the cost-benefit of any program initiatives to decide if they should proceed. The auditor was concerned that without complete, clear and accurate information, it was difficult for oversight committees to critically examine the performance of the program and without fit-for-purpose performance measures and target benefits, the oversight committees may be unable to provide appropriate oversight and guidance of the program, and run the risk of the program not being able to demonstrate due care in the use of public money. In response to the auditor’s criticisms, in 2013-14 the oversight committees requested quarterly rather than annual reports and in April 2015, the oversight committee endorsed an updated response plan with milestones and performance measures. But without a functioning information management system containing validated data, reports on the fire ant program could not change much. Program reports continue to be unexplained lists of activities: not set against any performance target. Statistics across quarterly reports do not always add up. The definition of what gets counted changes. And not everything in quarterly reports is accounted for in annual reports. The auditor’s recommendation that oversight committees need ‘complete, clear and accurate information to support decision making’ did not seem to have been implemented as oversight committees continue to accept the same ‘narratives’ about the program they have accepted since 2002. In 2013-14 with 316,340ha of south-east Queensland under fire ant movement restrictions, Biosecurity Queensland claimed that the ‘area of infestation’ was only 2334ha. Biosecurity Queensland’s definition of a fire ant restricted area is one that is ‘infested or likely to be infested’. The ‘area of infestation’ could be more accurately labelled the ‘area that Biosecurity Queensland knows about’. In 2013-14 Biosecurity Queensland simply reported that it had treated 34,100ha during the year but did not explain if that meant it had treated 34,100ha was once, or 17,00ha twice or 10,000ha three times. Biosecurity Queensland reported that field staff and the remote sensing surveillance technology had detected nineteen colonies but that 57% of all new detections had been made by the public: increasing the area of infestation by 558ha. Biosecurity Queensland gave no cost benefit analysis of the program’s surveillance effort and no explanation of how the area of infestation had tripled from 120,714ha in 2011 to 316,304ha in 2014. Biosecurity inspectors, concerned that hay producers in the Lockyer Valley might be transporting fire ants inter-state conducted 275 spot audits during the year and found 59 hay producers were non-compliant. Those producers then adopted risk management plans, but Biosecurity Queensland could not and did not report how many high-risk enterprises are operating in the fire ant restricted area and how many are compliant with movement controls. Nevertheless, advised by the oversight committees, in May 2014, all jurisdictions represented on the Agriculture Ministers’ Forum, except Western Australia, approved funding for the program for 2014-15. In 2014-15 with 341,052ha of south east Queensland under fire ant movement restrictions: an increase of 24,712ha over the previous year, Biosecurity Queensland was still claiming that the ‘area of infestation’ was only 3072ha. Again, Biosecurity Queensland simply reported that it has treated 55,190ha during the year with most areas receiving two treatments. Biosecurity Queensland but did not explain how many areas should have received three treatments, how many had been treated twice and how many just once. Under-treating is a serious threat to program. In 2014-15, Biosecurity Queensland reported that the remote-sensing surveillance technology has detected ten more colonies during the year while the public had made 659 positive detections resulting in the identification of six new significant areas of infestation: at the Brisbane Airport, the Queensland University of Technology campus at Gardens Point, Cedar Creek, Pimpama, Ormeau and New Farm. Biosecurity Queensland provided no return on investment analysis of the poor performance of the remote sensing surveillance technology to detect fire ant colonies. Biosecurity inspectors found that businesses in the newly detected areas had been moving restricted items in breach of movement controls and two were issued with ‘advisory letters.’ Biosecurity Queensland gave no explanation of why businesses in these areas were not aware of movement controls, why no business was prosecuted for a breach of movement controls and gave an estimate of the number of high risk enterprises operating in the newly detected areas and how many are compliant with movement controls. New detections added another 11,333ha to the area of infestation: almost double the 600ha increase that oversight committees were prepared to accept in one financial year. The Ministers’ Forum commissioned an independent review of the program to consider the future of the program: as an eradication program or a program to transition to the long-term containment of an entrenched fire ants infestation in south-east Queensland. Nevertheless, in May 2015, with the independent review only just beginning, and perhaps pre-empting its findings, the oversight committees approved the program moving from the ‘suppression and containment’ mode it had been in since 2010 and to move back into an ‘eradication’ phase. In 2015-16, as fire ants continued to spread, Biosecurity Queensland stopped reporting the size of the fire ant restricted area in hectares and just reported the number of suburbs that were affected: a smaller number. Even so, in 2016 273 suburbs were infested: up from the 259 suburbs in August 2015. Biosecurity Queensland also replaced the category of ‘area of infestation’ with the new category ‘core infested area’; estimating it at 6250ha. Biosecurity Queensland explained that it planned to treat the ‘core infested area’ twice each year for two years and treat 25,000ha outside the ‘core infested area’ three times each year. Biosecurity Queensland gave no explanation of why only 87,500 ha of the total area of 411,500ha within the fire ant biosecurity zone (as advised by the minister, Honourable Leanne Donaldson, September 2016) was being treated. In 2015-16 Biosecurity Queensland reported that 19 of the 80 areas outside the core area targeted for treatment did not get their full treatment and 5 of the 75 areas targeted for treatment inside the core area did not their full treatment, for long-standing reasons that Biosecurity Queensland should have addressed sixteen years ago. Property owners denied program workers access to their properties even though the program has the authority to enter them. Biosecurity Queensland was unaware that large land parcels in or close to fire ant infested areas had been sub-divided and had failed to gain the consent of all the occupiers to enter their properties. And, as always, the area scheduled for treatment was increasing faster than Biosecurity Queensland was treating it. During 2015-16, Biosecurity Queensland appeared to have done little surveillance: but the public had. The public submitted 4038 samples or photos of suspect ants and 1978 of them were fire ants. They had been found in Figtree Pocket, Holland Park, Tamborine, Upper Coomera, the Indooroopilly golf course, the Brisbane Airport at Eagle Farm and the central Queensland shires of Winton, Barcoo, and Etheridge that had received 240 bales of hay for drought relief from infested areas in south-east Queensland; sent without movement approvals. From July to December 2015 biosecurity inspectors conducted compliance checks on 245 high risk enterprises in the fire ant restricted area, including earthmoving businesses, landscape supply and nursery enterprises, waste management businesses, hay and turf producers and construction businesses and found at least fourteen were non-compliant with movement control measures. From January to May 2016, the inspectors checked 30 businesses moving soil in the Gold Coast, Ipswich and Logan City Council Areas and found five non-compliant. They inspected 30 landscape suppliers and nurseries in the Lockyer Valley, Scenic Rim and Gold Coast City Council areas and found eight non-compliant. Biosecurity Queensland gave no explanation of why these businesses in fire ant restricted areas were non-compliant, no explanation for why they were not prosecuted and gave no estimate of the number of high risk enterprises operating in fire ant restricted areas and their level of compliance with movement controls. Biosecurity Queensland also reported that a hay producer who had been compliant with movement control measures had become infested and a turf producer who had treated the turf in accordance regulations had become infested and had supplied the turf to properties outside the Fire Ant Restricted Area. Biosecurity Queensland gave no explanation of why their movement control protocols had failed. During 2015-16, new detections covered an area of 756ha, again breaching the upper limit of an increase of no more than 600ha in one year that the oversight committee were prepared to tolerate. Even though the fire ant program had breached the oversight committees’ upper limit two years in a row, in November 2015 the committees advised the Minister’s Forum that it, in its opinion, it remained in the national interest to eradicate fire ants and that it remained technically feasible to do so: continuing the long-running practice of the oversight committees of giving the Ministers’ Forum their own opinion which was not always consistent with the evidence they had received. In 2003, the detection or a huge infestation between Brisbane and Ipswich at Swanbank significantly increased the extent of the infestation and program auditors said they could not evaluate the efficiency of the program because of ‘a scarcity of performance measures.’ The oversight committees reported to the Ministers’ Forum that ‘progress towards eradication to date has been excellent…..(with just) some outlying infestations’ and that the auditor had said the program’s operations were effective and efficient. In June 2006, the third independent scientific review of the program reported ‘Fire ants are re-infesting properties that have been treated…. sixty new detections have been found beyond the treatment area…… (this is) a resurgence, not a mopping up phase……Fire ants are spreading faster than they are being found…. Start again with aerial baiting and aggressive containment.’ In November 2006, the oversight committees told Ministers’ Forum ‘that the program was making satisfactory progress and the committees remained positive about the chances of eradication’ but they added that ‘the program was at a critical phase and it would be clear with the year if eradication can be achieved – with existing resources’ even though the review panel had blamed poor management decisions for poor progress, rather than funding issues. In April 2007, the oversight committees reported to the Ministers’ Forum that the committees remained positive about the chances of achieving eradication – with additional funding. The detection of another huge infestation of 490 nests west of Ipswich at Amberley in September 2007 should have given the oversight committees reason to question their confidence. By 2008, the infestation was so huge that the program could not fully treat it all and a computer model showed that ‘with the rate of detection less than the rate of spread…eradication will not be possible.’ Nevertheless, the oversight committees reported that ‘The program has demonstrated that eradication of populations can be achieved with existing methods, the bulk of the original infestation has been eradicated and the program has delayed the spread of fire ants by ten to fifteen years.’ By now, the Ministers’ Forum seemed to be coming a little sceptical of the oversight committees’ advice and ordered another review of the program. In May 2009, the oversight committees reported that the program intended to develop remote-sensing surveillance technology to detect fire ant nests from the air. The Ministers’ Forum approved $1m to develop the technology. In October 2009, the fourth scientific review of the program was alarmed that the Fire Ant Restricted Area was at ‘an all-time high’ of 93,000ha and said ‘Current surveillance methods are inadequate for defining the limits. Treatment methods are questionable. Fire ants cannot be eradicated using current techniques. Revert to containment and suppression for 18-24 months.’ And they were sceptical about the use of remote sensing surveillance technology to detect fire ant nests. They said fire ants would spread faster than the technology could find them. The fourth review report was very blunt. So, in April 2010, the oversight committees simply told the Ministers’ Forum that ‘the review panel concluded that fire ants cannot be eradicated from Brisbane using current techniques…. recommends reverting to a program of suppression and aggressive containment for 18-24 months …… as (new) techniques are develop.’ But, even then, the oversight committees added their own opinion: they believed that it was premature to cease the pursuit of eradication and proposed that the program be one of containment with a view to eradication: even though Western Australia, one of the cost share partners, was questioning whether eradication was still feasible. April 2011 the Ministers’ Forum endorsed a program of suppression and containment for 18-24 months but requested the results of trials of the remote-sensing surveillance technology, the results of bait trials and an epidemiological analysis of the infestation. It appears that the Ministers’ Forum was become more and more sceptical of what the oversight committees were telling it. By the end of 2011, the program had spent $250m and the infestation was up to 120,741ha. Biosecurity Queensland claimed that it had substantially reduced the population in the western infestation, but a computer model found that the infestation continued to spread at a steady rate. By then, the oversight committees seemed less willing to accept Biosecurity Queensland’s claims of success and recommended that the program start work on a contingency plan; should eradication no longer be feasible. By the end of 2012, trials of the remote-sensing surveillance technology found that 96% of the things it was identifying as fire ant nests were mostly rocks and lumps of manure. The technology had cost $7.2m and it had found six nests. It was decommissioned in 2015. The infested area was up to 282,000ha by then and the oversight committees were unable to come to a consensus about future funding. Western Australia was prepared to fund it for just one more year. In 2014, the oversight committees were still claiming that eradication was technically feasible but they also gave the opinion that the program needed to consider options for the future: as an eradication program or to transition to a program to contain an entrenched infestation in south-east Queensland. The Minister’s Forum commissioned the fifth independent scientific review of the program. With the Fire Ant Restricted Area up to 341,052ha, the review panel commenced work in May 2015 and submitted a final report to the Ministers’ Forum in May 2016. The reviewers acknowledged the support of Biosecurity Queensland managers and contracted researchers in conducting their review. Their report reads like they recruited Caesar to report on Caesar. Without presenting any empirical evidence to support their claim, the review panel found that it is still ‘technically feasible’ and ‘cost beneficial’ to eradicate fire ants: these being the magic words that elicit funding from the cost-share partners. Therefore, the review panel recommended a ten-year program, with as much money again ($380m), to fund more of the same programs, particularly the remote-sensing surveillance technology, that have failed so far, delivered in five yearly increments instead of yearly increments and with even less scrutiny than now. The review panel claimed that Biosecurity Queensland had failed to eradicate fire ants so far because of insufficient funds and funding uncertainty. Previous reviewers had blamed poor management as much as irregular funding. In November 2015, the Ministers’ Forum agreed to fund the program for 2015-2016. In early 2017, the Agricultural Ministers’ Forum will meet again to decide the future of the program. Biosecurity Queensland, has wasted $400m of public money trying to find and kill fire ants: with the result that fire ants now an infested an area of over 400,00ha; ten bigger than it was in 2002. We have to hope the Ministers continue to fund a fire ant program, but I suggest, they will be throwing good public money after bad if Biosecurity Queensland continues to manage the fire ant program. The Ministers’ Forum will also be throwing good public money after bad, I suggest, without significant reform of the oversight committees. 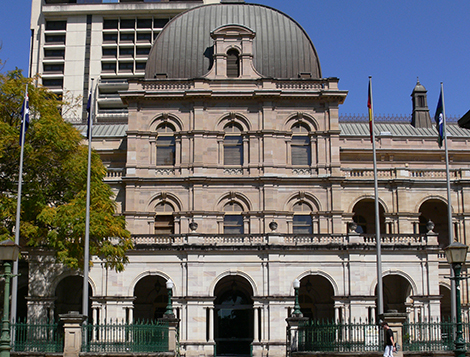 Program auditors warned that the oversight committees were in danger of making inappropriate decisions and not being able to demonstrate due care in the use of public money because they were not receiving complete, clear and accurate information about the program from Biosecurity Queensland. This situation continues. And, I suggest, this publicly funded program should be opened up to public scrutiny by making all program reports and reviews and the minutes of Ministers’ Forum and governance committees meetings available to the public, on-line, as soon as possible after the event. Where are fire ants: really?